Whistleblower cases involving the Veterans Administration (VA) took a significant upturn in fiscal year 2015, according to the Office of Special Counsel (OSC). Although it is small—with only 140 employees—and independent, the agency’s job is to protect whistleblowers and other federal employees from prohibited personnel actions. The OSC’s 2015 whistleblower disclosures rose 56 percent from 2014, for a total of 755 disclosures for the fiscal year. A large amount of the increase is the result of a waterfall of new cases from the VA. Opinions differ as to why the 2015 increase was so dramatic. Some believe that the uptick is due to continuing problems at the VA, and associated retaliatory actions against those who blew the whistle. In the past, various scandals over the treatment of veterans had been revealed, with whistleblowers subsequently threatened. The OSC settled three cases of retaliation against Veterans Administration (VA) whistleblowers in April, 2015. Others believe the increase in cases is proof that Bob McDonald, the secretary of the Veterans Affairs Department who was sworn in in September, 2014, is succeeding according to his stated mission. He promised to protect employees who revealed fraud, waste, and wrongdoing at the VA. The increase in cases may be a sign that McDonald is finding some success at creating a culture more comfortable for whistleblowers. Still others credit the OSC’s Special Counsel Carolyn Lerner, who has a track record of protecting whistleblowers and intervening in cases of retaliation against them. The success rate for those who bring their case to the OSC has increased along with the agency’s workload; 278 cases were resolved favorably for employees in fiscal year 2015. That represents an increase of more than 800 percent since fiscal year 2008. “As OSC obtains more positive outcomes for whistleblowers, our results promote confidence, and more employees are willing to step forward to file a claim or make a disclosure of wrongdoing,” commented Nick Schwellenbach, a spokesman for the OSC. Whatever the cause, it appears that more whistleblower cases involving the VA are seeing the light of day, and that retaliation against those who report the wrongdoing is being dealt with appropriately. 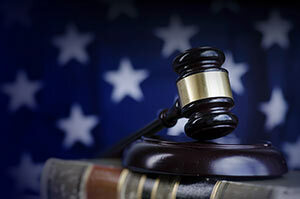 The law forbids retaliatory actions against those who bring a case under the False Claims Act.